“Find Your Footprint” – vote now! 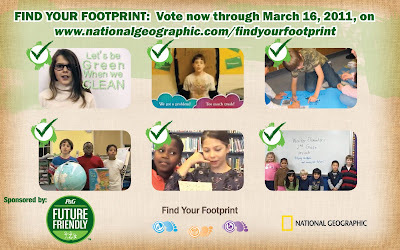 P&G; Future Friendly and the National Geographic Society joined forces with their “Find Your Footprint” national school conservation education contest. The “Find Your Footprint” program aims to raise student awareness of their environmental footprint. Voting’s ongoing until March 16, 2011. 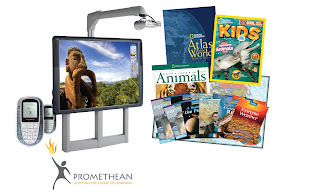 So what’s in it for the winning school? 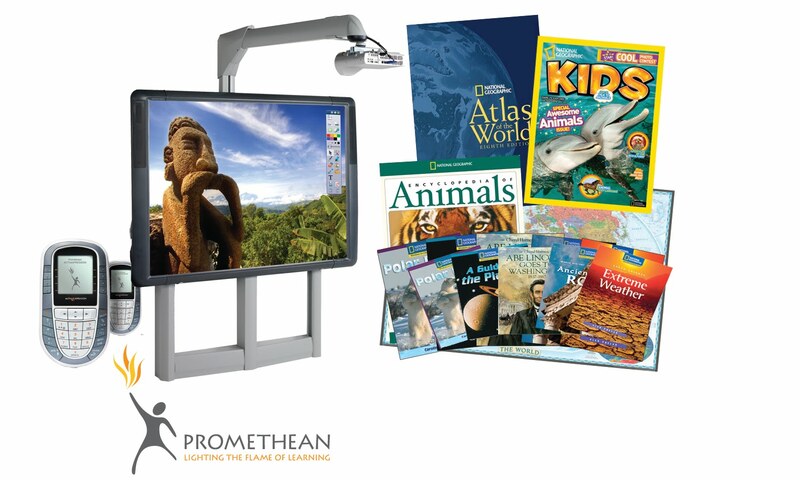 The winner with the most votes gets $36,000 in educational resources, such as five Promethean interactive digital whiteboards (ActivBoards), five sets of Promethean Learner Response Systems (ActivExpressions), 30 free subscriptions to National Geographic Kids magazine and up to $1,000 in National Geographic educational materials.